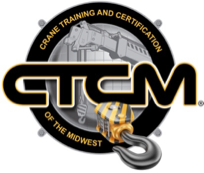 Forklift - Crane Training and Certification Of The Midwest inc. Here at CTCM inc. we also offer Forklift Training. The Forklift course will consist of classroom instructions on forklift safety. Operators will see top causes of forklift accidents, daily inspection standards, stability principles and fueling procedures. -Trainings take place at your site. -Training Class Length: 3 hours plus hands on evaluation. Our course is designed to make sure your operators are trained in the most safe way of operating an Aerial or Scissor Lift. Students will take a written test and are required to bring their own personal protective equipment. - Trainings take place at your site. - Training Class Length: 3 hours plus hands on evaluation. - Even if you have been operating a forklift your whole career it is never a bad idea to take advantage of our class. You must be certified to operate a forklift. Our Forklift Training Course will help your company stay ahead of the rest! - We come to your workplace and train you on your forklift. It could not be any easier! - You can rest assure that you will receive top quality training. With over hundreds of happy customers successfully completing our training course. We pride ourselves in having a humble approach to our trainings. We do not look to brag or to come off arrogant when teaching others how to achieve these certifications. We are a smaller business and because of that we can ensure a more personal and affordable experience. We will not let you down. With that said here is how we can help. or, Please click the link below to get started.